After only 7 years, our LG A/C has bitten the dust. The landlord is willing to replace it, but it's up to me to search for a replacement that will suit him. The room that the A/C is in is our bedroom, which is approximately 50 square meters. The online BTU guides suggest a 18K BTU unit, but I'd like to oversize it a touch but the BTU ratings seem to jump from 18K to 24K. Yep they jump from 19,000 to 25,000 at least Saijo Denki. Our office about 40sqm and our workshop 48sqm have 25,000. Daikin seems to have a good rep.. Your bedroom is 50 square meters? What size is the one that broke and was it sufficient? Info is on that little power consumption sticker and failing that what's the part number? The a/c guy said the compressor is shot. The R-12 basically leaks out in a week. ^ lol opposite. Ill never buy Samsung again. 100% Mitsubishi for me. Hands down. CSF how many BTU was the one that broke? Edit ok lol got it. CSF how many BTU was the one that broke? 5X10 is kinda odd shape. I would buy 2 units of 9k BTU each and mount one on each end. I picked up a 9k BTU daikin unit the other day, box New but old stock, still r-22 witch is currently being phased out, for 8,800 fitted. But if you're happy with the performance of the 18k unit I would look for an older stock miitsubishi. R22 unit. They are cheap due to the phase out. BTW, a member here (good bloke) is hugh cow hughcow ? 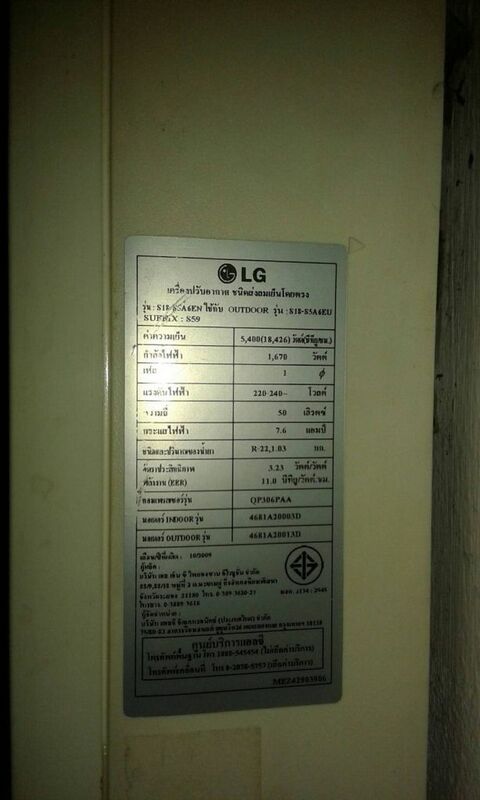 He's in the game in Thailand and knows heaps re the Air-Con. Maybe PM if he doesn't drop by. Same as our Saijo Denki units. There are factories that doesn't make anything else than compressors. Surely your a/c guy knows where to buy LG spare parts. He was able to convince the landlord, who's fairly tight fiscally speaking, about the need for replacement. I just up sized in the main bedroom from a 18k Mitsubishi to a 24k Daikin, like going from a mini to a Rolls Royce, excellent AC. I have used only Mitsu for the past 15 years or so, in future, Daikin thats all I will be buying, impressed with it! Note: Deleted as was wrong information due to brain malfunction! Thanks to Mudcat for pointing out error. Last edited by Airportwo; 17-04-2017 at 08:15 PM. Thanks, if he doesn't post in a bit, I'll send him a PM. I have used only Mitsu for the past 15 years or so, in future, Daikin thats all I will be buying, impressed with it! +1 for Daikin here, keep them clean and they're great. FWIW I've got an 18k in an approx 45m2 bedroom and it's overkill, which is better than it being too small I guess. The fan speed has never been off the lowest setting, even on hot nights like we're having right now. To cool the room down before turning in for the night takes 5 mins tops. We fitted a FTKM28NV2S, no idea what the difference is! One of the reasons we ended up going with Daikin is the 18k Inverter that was fitted never worked correctly! Mitsubishi were unable to get it running as it should, the Inverters are complex, there techs are not up to keeping them running IMO. There was a small problem with the Daikin, a manufacturers fault, we called Daikin and they replaced the parts within 24 hours, with no problems at all. The owner asked me to look at the FTM24NV2S....it appears to be somewhat short of the 24K BTUs. After 6 years of maintaining that I dodn't need A/C in the room where I spend most of my time I finally succumbed. We got a GREE 12,000 installed in my office. CCSFan knows of where I speak. It's overkill but Mr. Boiler, who does all our A/C stuff, and everything else actually, likes them. the A/C plus installation plus 3 years warranty and servicing cost me 10,000. I could have bought cheaper but the servicing and guarantee from the man has proved it's worth in the past so we'll stick with it. 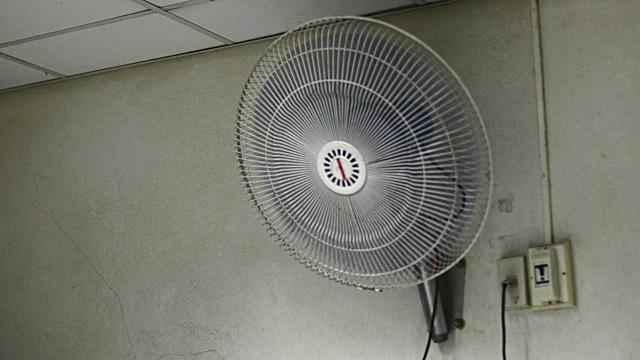 Various folk have suggested we install these fixed fans around the place but, for some reason, I don't like them. Pedestal fans, that you can move around at your leisure are IMO preferable. Where did you stick the compressor unit?